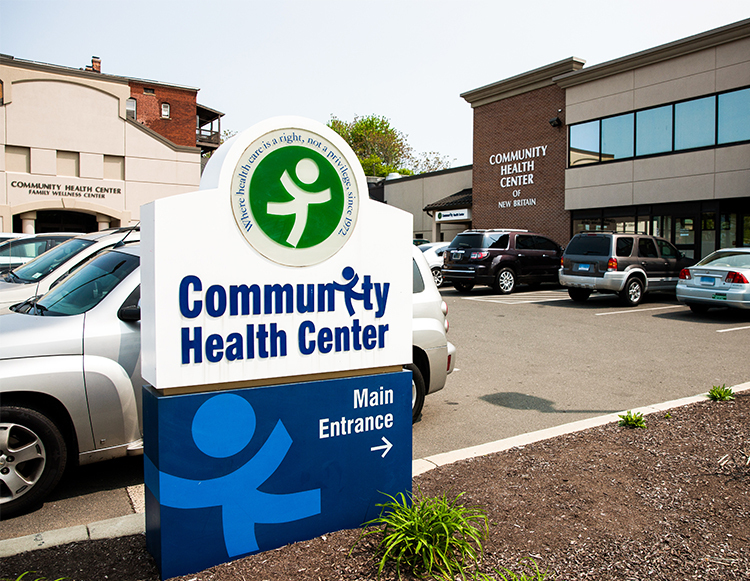 Established in 1996, CHC of New Britain is the healthcare home for residents of the City of New Britain and many surrounding towns of Hartford County. It is the hub of an extensive set of CHC services including school based health centers and healthcare for the homeless clinics in the city’s homeless and domestic violence shelters. Ovanes Borgonos, MD – BS: San Pedro College. MD: Davao Medical School Foundation. Residency: West Jersey Memorial Hospital. Steven Buchbinder, DPM – BS: Hiram College. DPM: Ohio College of Podiatric Medicine. Residency: Cleveland Foot Clinics. Yo-yo Chen, DDS – DDS: Ponzan University of Medical Sciences. DDS: New York University College of Dentistry. Residency: Show Chwan Memorial Hospital. Robert Dudley, MD – BA: Amherst College. MD: University of Pennsylvania. Residency: Children's Hospital of Philadelphia. Alan Farb, MD – BA: University of Texas Austin. MD: University of Texas School of Medicine San Antonio. Raphaela Francis, PA – BS: University of New Mexico. Residency: McLeod Medical Center. Jennifer Gadalinski, LCSW. MSW: Fordham University. BA: Western Connecticut State University. Meghan Garcia, MPH, FNP, APRN – BA/MPH: University of Alabama at Birmingham. FNP/APRN: Yale School of Nursing. Residency: Community Health Center, Inc.
Amita Kulkarni, DDS – BS: University of Benin. DDS & Residency: Columbia University. Michael Mark, DMmcD – BA: University of Pennsylvania. DMD: University of Pittsburgh. Residency: University of Connecticut Health Center. David Melman, MD – BS & MD: University of Miami. Residency: Hartford Hospital Institute of Living. Jurg Oggenfuss, APRN – BSN & MSN: Marquette University. Jean Palin, APRN – BSN: St. Joseph College. MSN: University of Virginia. Elzbieta Piekarz Dyjak, MD – BS: State University of New York Stony Brook. MD: St. Christophers College of Medicine. Residency: Maine Dartmouth Family Residency Program. Megan Ratchford, MD – BA & BS: The George Washington University. MD: Drexel University College of Medicine. Residency: University of Connecticut. Julie Sarmiento, LPC – BS: Clemson University. M. Ed: Springfield College. MS: Charter Oak Health Center. Michael Selmont, PA – BS: Albertus Magnus College. MS: UMDNJ. Gabrielle Schiavone, MSN, APRN, FNP-BC. BS: University of New Hampshir. BSN – MSN: Thomas Jefferson University. Meaghan Silva, APRN resident – BS: University of Massachusetts Amherst. MSN: Yale University. Wanda Serrano Miller, LCSW – BA & MSW: University of Connecticut. D. Anthony Yoder, DO – BS: University of Virginia. MPH: George Washington University. DO: Philadelphia College of Osteopathic Medicine.